Join us for an exciting return visit in 2019 to the beautiful Isle of Man. 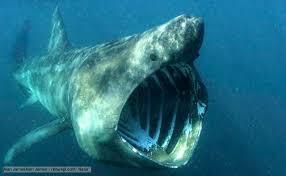 June is a great time of year to dive with basking sharks, there is also a good chance of dolphin and porpoise action too. Huge array of different dive sites from scenic reef dives to exciting wrecks and caves. Something for all levels of diver. Sites will be chosen to suit the group to the best advantage. Visibility on every dive on the 2018 trip was awesome and we had eight wonderful dives. Same number is planned for this years trip. Check out the video snippet by clicking here. The trip is similar to our Lochaline trip with the full house and dive boat included in the trip. One plan is to carry basic dive gear across as foot passengers with the group of a maximum ten divers using the ferry on the 23rd. You can also drive across for not much more using the ferry and have the convenience of transport at hand on the island too. Weights and cylinders are provided by the dive company. Diving is usually three dives a day from the charter boat with diver lift. The boat is licensed for 12 but we are limiting the trip to 10 for comfort & safety. There are a variety of dive sites so dive destinations will be agreed between the group and skipper and of course prevailing conditions. The Keegan family make everyone welcome and comfortable on the spacious dive boat and all the dives were very well handled with a warm drink waiting onboard afterwards. The 2018 trip was a resounding success and a welcome addition to our itinerary. Situated in the south of the Isle of Man between the villages of Port Erin and Port St Mary the accommodation has been graded 4 star highly commended by our tourist board.The property boasts stunning views of the surrounding area and is ideally located to the dive centre and local amenities. The house is a 15 minute drive from the airport and a 30 minute drive from the ferry terminal. Accommodation is self catering but there are local eateries and pubs close by within easy walking distance. Accommodation is modern and comfortable with all the mod cons. BBQ on the back patio makes a lovely end to the day. Due to limited numbers this trip is likely to fill quickly, we can`t recommend it highly enough, so drop us a £75 deposit to secure your place.